Below are the NMR spectra obtained by regular 1H acquisition and with BINOM solvent suppression. Data was obtained on our Varian 300 MHz spectrometer. Samples were prepared by degassing followed by addition of 1 drop of D2O as lock solvent. 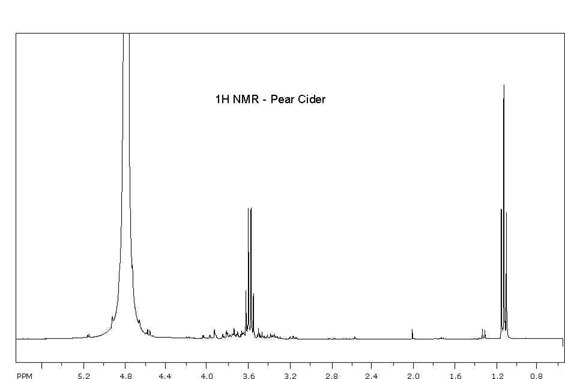 In contrast – here is a spectrum obtained on a commercial hard pear cider. The taste was noticeably sweeter than the home made cider.